Want it all inside the city? Venture over to the far east side of Indianapolis. 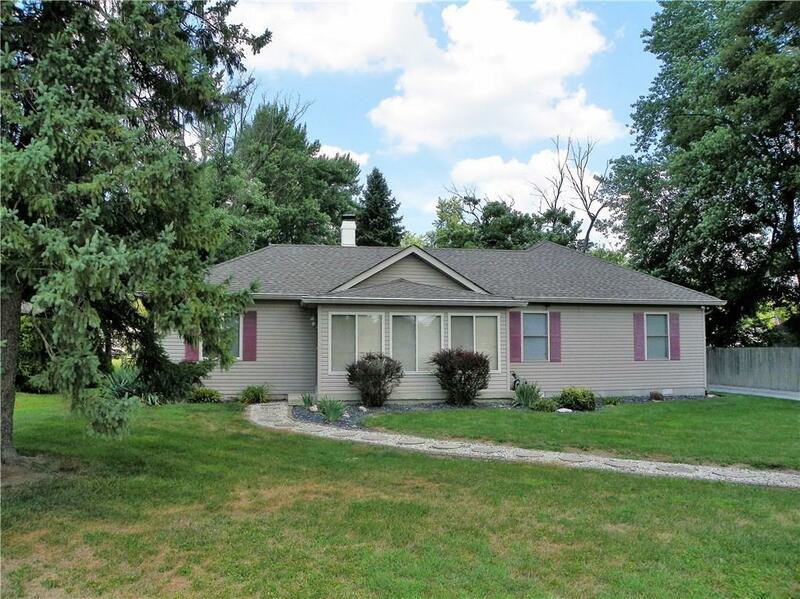 This charming 1628 square foot home sits on just under an acre. The 28x40 pole barn can fit up to 5 cars or a camper and includes a loft! It has concrete, electricity and water - perfect for the car or hobby enthusiast! The storage barn behind is also wired with electricity. This 3 bedroom 2 full bathroom home has a front atrium for those relaxing evenings watching the outdoors. In addition, it boasts a massive 20X20, freshly painted backyard deck for entertainment. Even your dogs will feel at home in their private kennel. This house has a 2 year old HVAC system, custom closet organizers - complete with his and hers master bedroom closets!